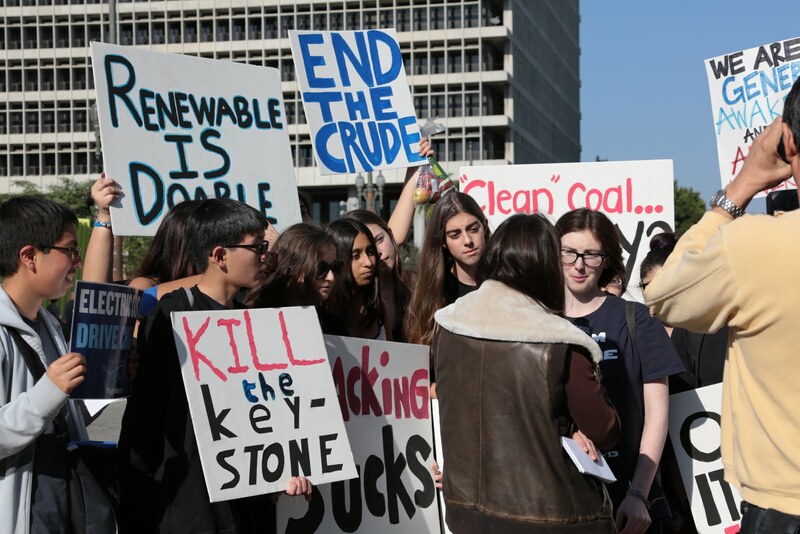 Last Sunday, Febrauary 17, Team Marine attended the “Forward on Climate” rally in downtown LA along with staff from the Alliance for Climate Education (ACE), who organized the student coalition. 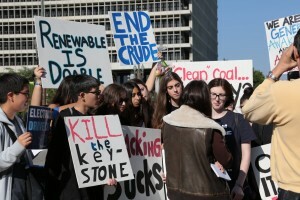 The team and several Marine Biology students joined over 1000 people in a march to City Hall to encourage President Obama to stop the construction of the Keystone XL Pipeline and move the United States away from polluting fossil fuels. We also got to meet actors Ed Begley, Jr. and Orlando Bloom as well as hear talks from Congressman Henry Waxman and NASA/JPL climate scientist, Josh Fischer, among others. As a bonus, team captain Edie was interviewed by FOX News and appeared on the 5pm news! Special thanks to Team Marine parent, Roy Persinko, for many amazing photos. 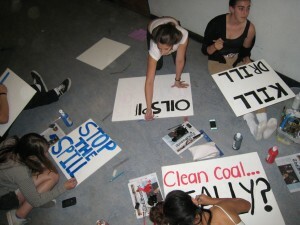 Forward on Climate Rally Prep! This Sunday, February 17, Team Marine will be heading out to the Forward on Climate Rally. 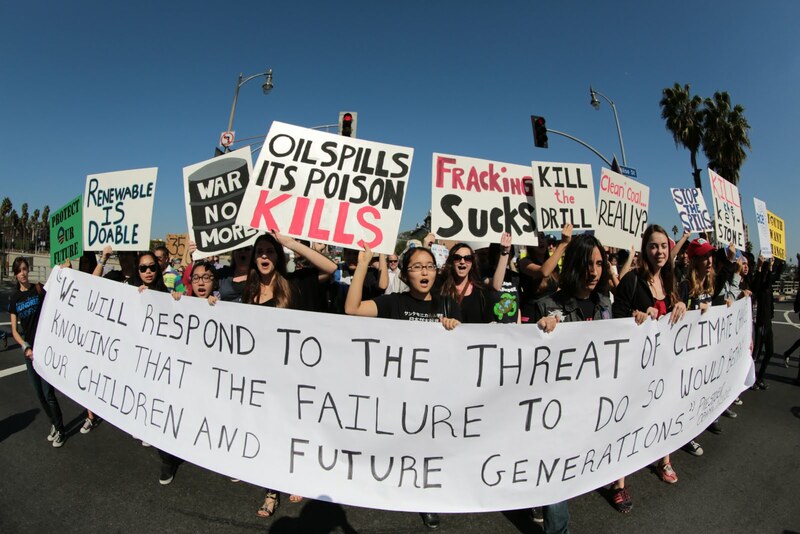 Across the US, people will gather in the largest climate rally to take a stand against the Keystone XL pipeline and climate change. 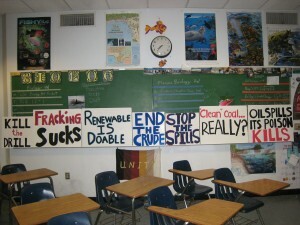 As preparation, team members created signs for the rally at today’s meeting. 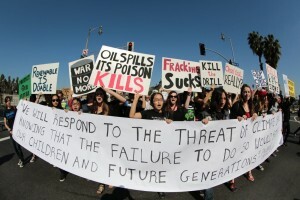 Remember to tweet #noKXL and visit forwardonclimate.org for more info! On Sunday January 20, 2013 Team Marine visited the Santa Monica library to view a screening of the movie “What is the Electric Car”. 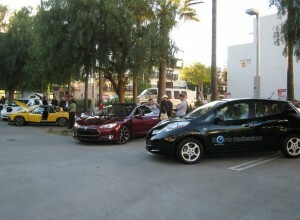 The movie highlighted consumer reluctance and opinion when real people were asked whether or not they would buy an electric car. 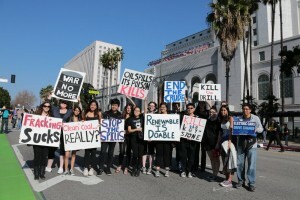 The film then refuted the most common misconceptions associated with electric cars, such as cost and durability. It presented factual information in a way that kept the audience engaged and educated them at the same time. 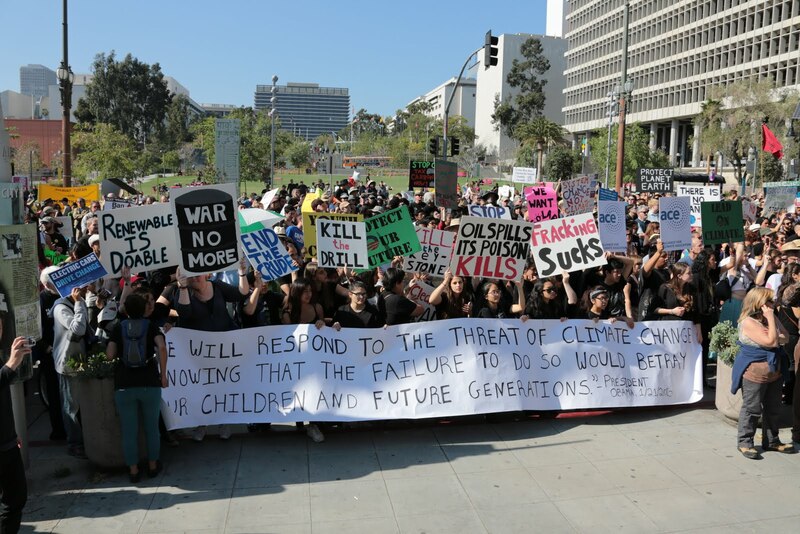 There was a variety of scientific research, consumer opinion, interviews from numerous car experts, celebrity eco-advocacy, real life accomplishments, and a fictional storyline which tied the film together and made it interesting. 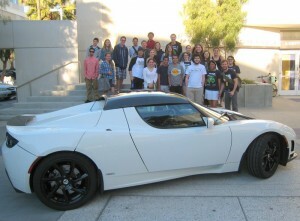 Overall, it was an educational and eye opening film that successfully teaches audiences about what an electric car really is and how it works. 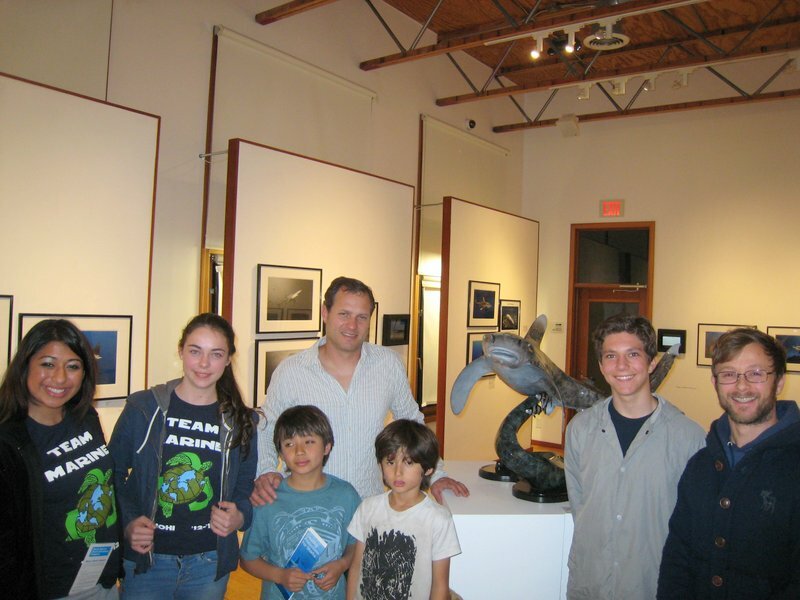 On Tuesday January 29th, Team Marine along with Marine Biology students from Santa Monica High School were privelaged to listen to Dr. Paul Barber speak at the G2 Gallery. Dr. Barber, Associate Professor of Ecology and Evolutionary Biology at UCLA, has been passionate about bringing awareness to the people about the “Coral Triangle.” The Coral Triangle is located in Indonesia, and is vastly one of the most biologically diverse hot spots for marine life. This area is known as the “Amazon of the Sea” and contains at least 500 species of coral, however, is being threatened due to Coastal Developement and Overfishing. Unlike popular magazines and bumper stickers with “Save the Whale” or “Save the Rainforest”, The Coral Triangle is the least researched to the U.S. With no awareness, we can’t make a difference. After attending this talk and learning about the Coral Triangle, Team Marine as well as others should make an effort, and help spread awareness to this issue. 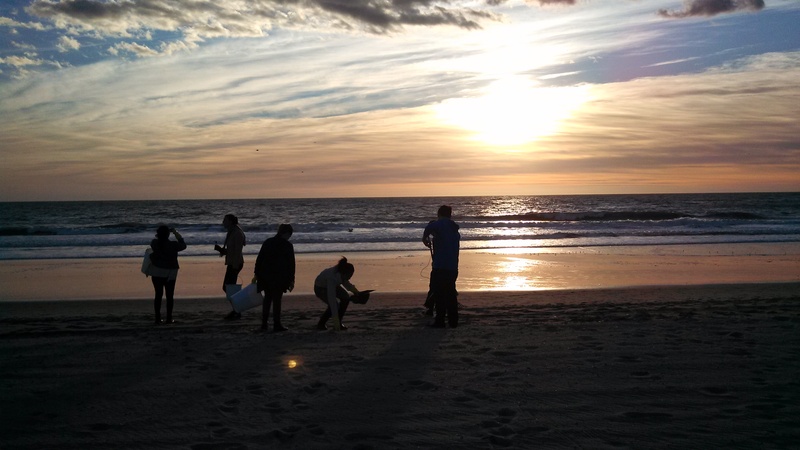 On January 28 Team Marine did a quick beach cleanup. 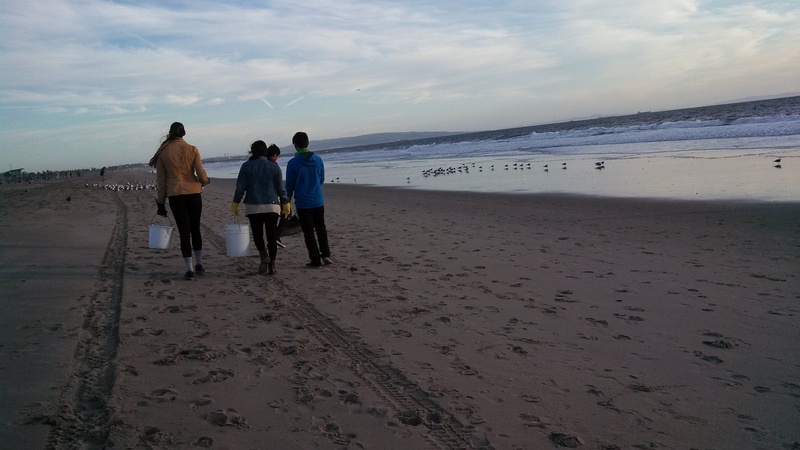 After the first gurgle and first flush this year, the team was exited to work on cleaning the area around the Pico Kenter storm drain. We walked south of the Kenter-Pico storm drain where there was sightings of trash. Since there has been a recent rainfall and heavy winds, Styrofoam was scattered across most the beach in large amounts. 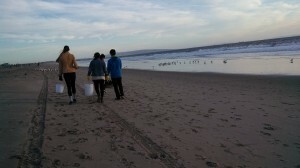 We were able to collect four buckets full using a garden rake and hand picking through the sand. On January 1, Team Marine headed out to the Rose Parade. Not to see the floats, but instead to collect recyclables. 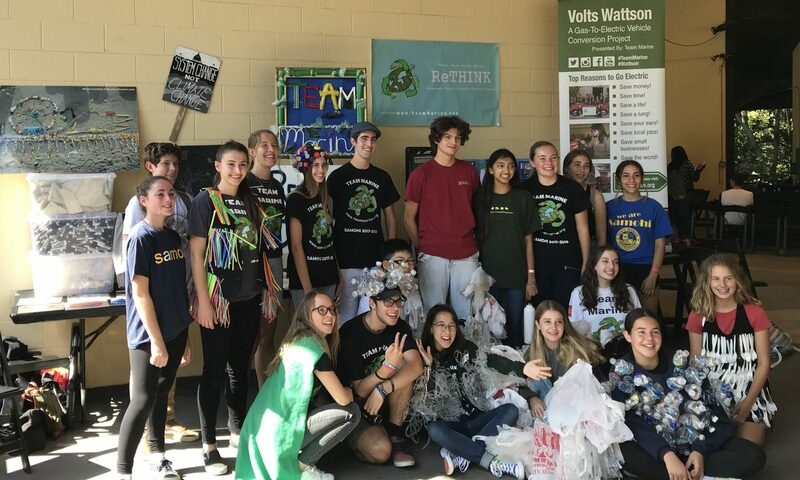 Members walked along the parade route collecting plastic bottles to raise money for Lifestraws, water purifiers that are to be sent to countries that need clean water. 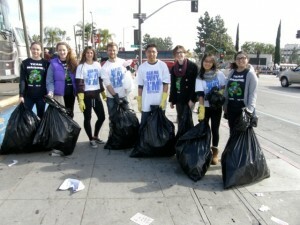 Along with students from the Green Dream club in Pasadena, Team Marine assisted in collecting many bags of recyclables. Keeping in mind that a Lifestraw costs 6 dollars, for every 120 5-cent bottles collected, one Lifestraw could be purchased. This year, 3000 bottles collected, or 25 Lifestraws. Special thanks to Kerri Winters for taking pictures. 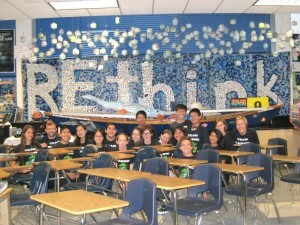 Also special thanks to Micheal Winters and Stephanie Pham for inviting us and organizing this event. 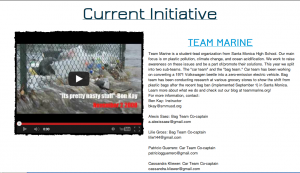 This summer, the website First Here, Then Everywhere interviewed last year’s members on Team Marine’s current projects. They even featured our First Flush video! 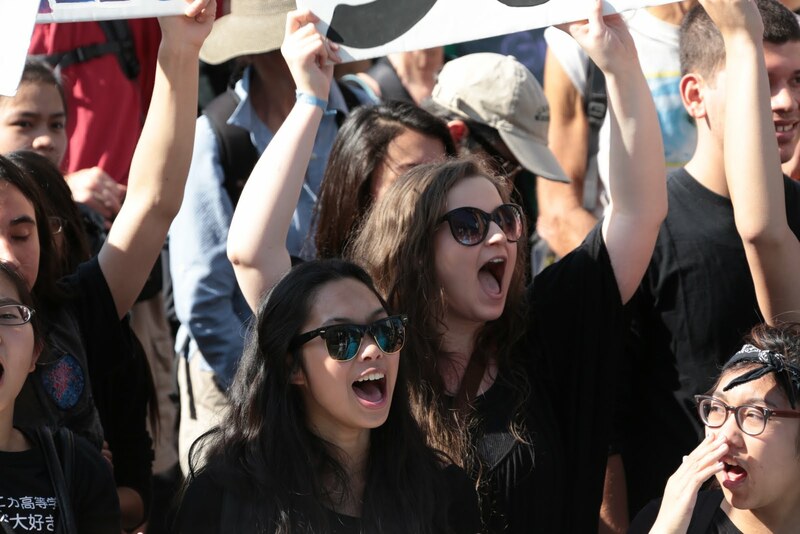 First Here, Then Everywhere is a network for young environmentalists to connect and share ideas about solutions to climate change with other students in the country. A big thank you to founder Chloe Maxmin for featuring us! 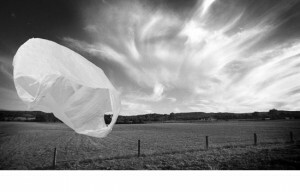 Culver City Plastic Bag Ban! 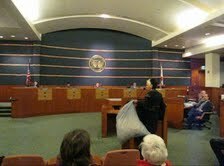 This past Monday, the 10th of December, Culver City Council held a hearing for a plastic bag ban ordinance. Team Marine members were excited but unable to attend due to the upcoming week of Finals. 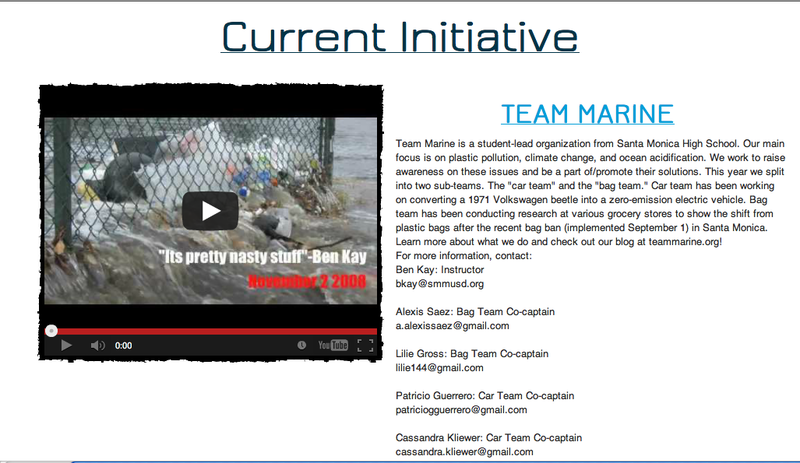 However, Team Marine’s own coach, Benjamin Kay, presented Team Marine’s data from a two-year student study of grocery store bag type usage that has been ongoing since 10 months before the Santa Monica bag ban, September 1, 2011. Also, Andy Shrader from Clean Sea Coalition, Marina Debris, a local artist who collects pollution from the beach transforming it into art, and Anna Cummins, a Co-Founder of the 5 Gyres Institute appeared and spoke their opinions and shared statistics regarding plastic bags and the harmful effects they have on the environment specifically the marine life ingesting and entangled in these plastic bags. This creating a boomerang effect back on us when we consume seafood. Approximately thirty for, vs. three against each had a maximum of three minutes to present. Afterthirty convincing speeches from 9 till about 11 Culver City decided to ban the bag. 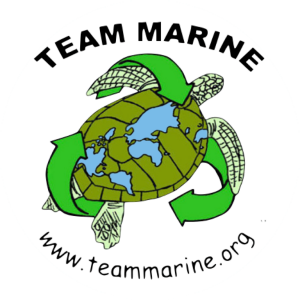 Team Marine has received the 50 sporks Mr. Kay ordered as well as the ten sporks that the company, Life Without Plastic, donated. We are very appreciative of their generous donation. 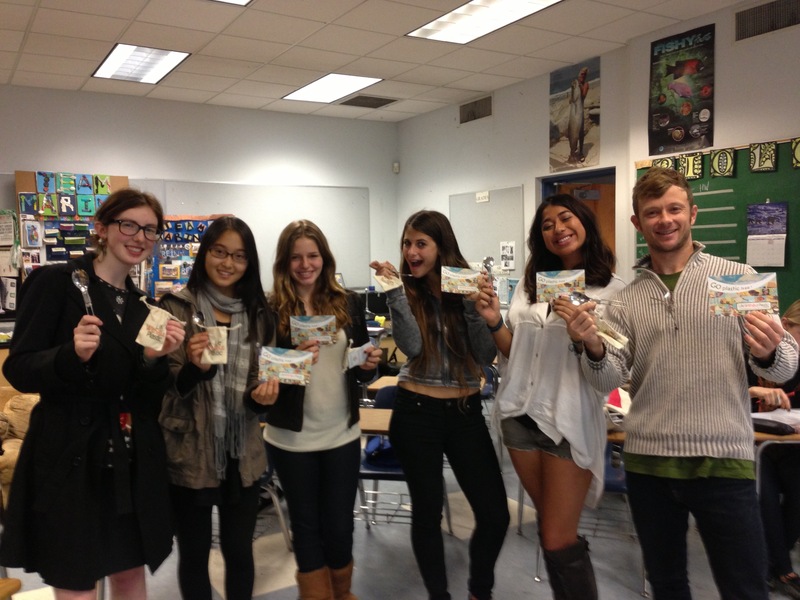 Team Marine was very excited to receive the sporks and will continue to promote the message of switching from single-use utensils to sustainable alternatives. A big thank you to Jay Sinha from Life Without Plastic! Team Marine T-Shirts are Here! Two weeks ago, Team Marine received their customized 2012-2013 Team Marine T-shirts; special thanks to Justin Tavaf who designed the shirts. 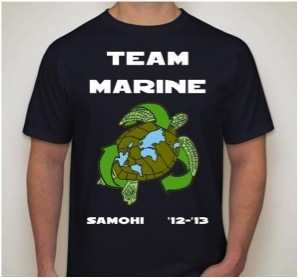 Team Marine will now be sporting our shirts to every event as well as every Friday. 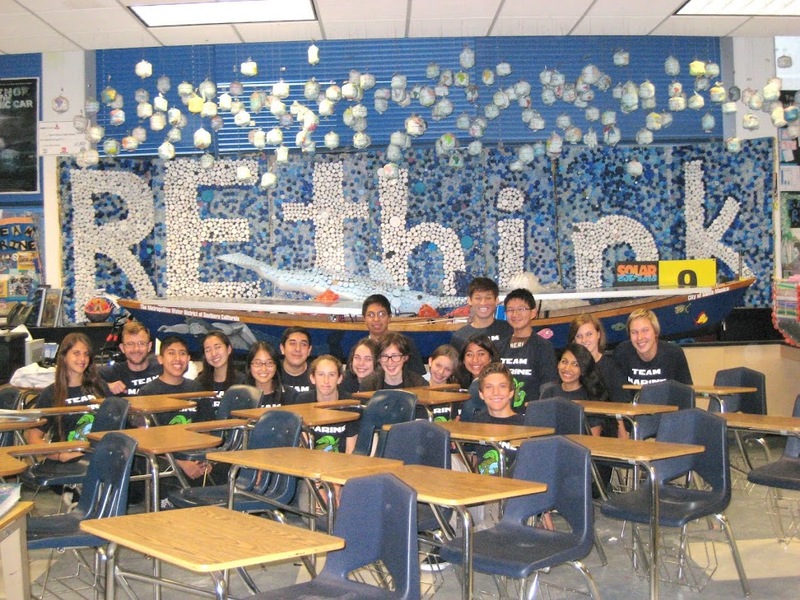 Another special thanks to Terri Bidle, Lynn Whitley, and DJ Kast Da Vinci for providing Team Marine’s car and bag teams the opportunity to go to Catalina Island for the QuikScience Challenge. In return, Team Marine gave them Team Marine T-Shirts as a way of showing our appreciation.